Gee’s career as a studio painter began to grind to a halt in the years after his 1930 self-portrait when, during the Depression, painters, like most Americans, were having a hard time making ends meet and when Chinese American painters especially were kept outside the New Deal relief programs and rarely regarded as proper “citizens” for federal and state relief. (Gee did join for a brief time the WPA easel project, though did not take part in any of the big mural projects.) Given the climate, it isn’t too surprising that Gee’s greatest output of poems, in the late 1930s, happened when his painting career was losing momentum and the possibilities of actually selling his canvases were becoming quite remote. His prospects never improved, and the fallow fields of his artistic life were paralleled by his difficulties in finding any kind of work that wasn’t menial or, given the attitudes toward the Chinese, outside the service world, outside the laundry, restaurant, and factory, that the Chinese had historically occupied. Indeed, throughout the remainder of his life, he took only odd jobs here and there, sometimes as a janitor and occasionally as a paint restorer. 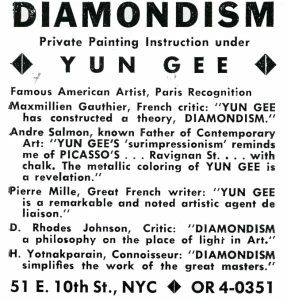 When he tried in the 1940s to begin his own art school, he did not receive accreditation, and despite an energetic round of advertising, printed pamphlets, and the formulation of a sophisticated, convoluted art theory which Gee called “Diamondism” (a derivative of Orphism), the whole project failed. He floated proposals for books to publishers, including an autobiography and a treatise on Chinese philosophy, but these were always met with disinterest. He planned an art magazine he called “MKR” but found no subscribers. 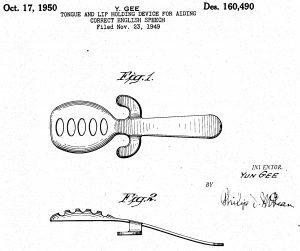 He developed even wackier proposals in the 1950s, such as a lunar tube that would connect the earth and moon and a tongue and lip depressor that aided “correct English speech,” all of these the product of a fertile imagination but also clear evidence of a certain desperation that took hold in the recognition of artistic failure. If in his poetry Gee wrote about the pleasures and pains of a simple material life, grand ideas that could be extracted from banal events, or the meanings that could possibly be construed during moments of hunger and poverty, he had ample experience with the subjects. 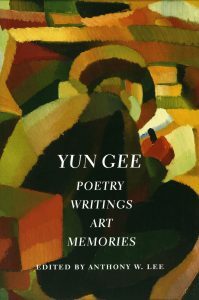 Although, with the exception of the various versions of The Charm of Music, Gee rarely turned his pen or paintbrush so directly onto his life, the conditions of his life, as a man of feeling living in a society that didn’t care to acknowledge him beyond the social roles to which immigrant Chinese men had always been relegated, structured the themes and attitudes in his work. His poetry didn’t take his paintings as subject matter in part because his paintings were regarded by others as rarely having anything worth speaking about, though speaking about his painting wasn’t necessarily the poetry’s primary role. Instead the verses took into consideration the various and subtle experiences of being a painter—and in doing so, and importantly, the insistence on being a painter—as part of their own logic, since these were things Gee never relinquished and instead claimed tenaciously as his own. 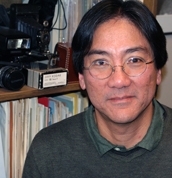 Anthony W. Lee is an art historian, critic, curator, and photographer. As a critic and scholar, he writes about American photography and modernist painting in the period between 1860 and 1960. As a photographer, he documents ethnic and immigrant communities. 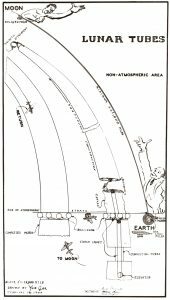 Lee teaches a series of lecture courses on art since the French Revolution and seminars on photography before and after World War II. Many of his seminars have resulted in exhibitions curated by students. Lee is the recipient of the Charles C. Eldredge Prize for Distinguished Scholarship in American Art, given by the Smithsonian’s National Museum of American Art, and the Cultural Studies Book Prize, given by the Association of Asian American Studies. He is founder and editor of the acclaimed series Defining Moments in American Photography.